Cinnamon lovers rejoice!. 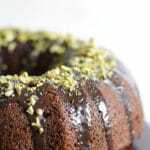 This easy, moist cinnamon cake recipe from scratch is a foolproof by all means. I cannot even count how many times I’ve made this cake. This is one of the very first cakes, comes right after this amazingly moist marble cake, that I’ve learned to make. This is, hands down, a family favorite with its warm mesmerising smell that fills the air in your whole kitchen. Back in 2007, when we came here, I had no baking/cooking skills at all. I remember the first time I bought a whole chicken, I stood there in my own kitchen crying do not know how to properly and thoroughly clean that thing! So cooking was a big and I mean biiiiiig step to take but I dared myself to what’s even harder…… baking. How cool is that?  . 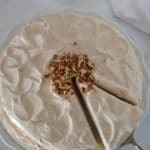 I joined an Arabic cooking forum, where there I’ve learned A LOT and the gals there were very helpful and very friendly. I’ve made so many friendships there to people I’ve never met and we are still friends and connect through Facebook. 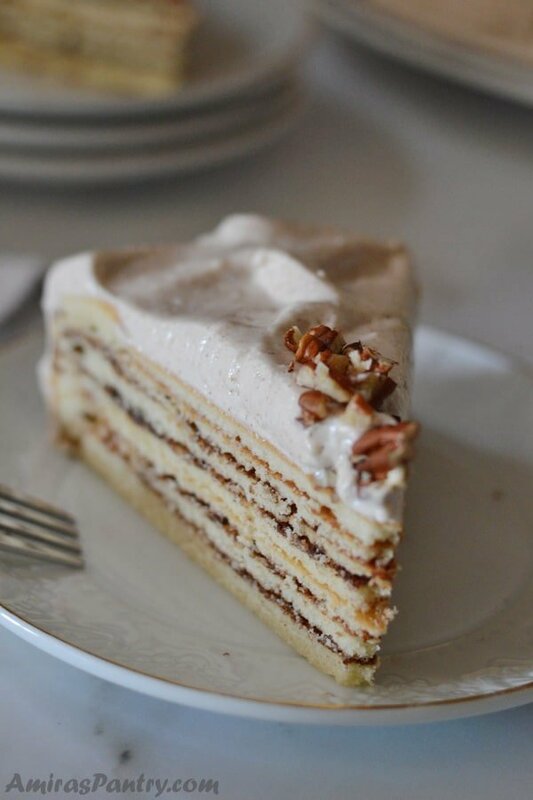 Anyways, one of the very first recipe I’ve been taught is this delicious cake. Everyone there encouraged me to start with this recipe, I took deep breath and made it, and it wowed my husband and my two boys who were so little and the third one was not there yet . I patted myself on the back and decided to make it a second and a third and a fourth time and even took it to friends. 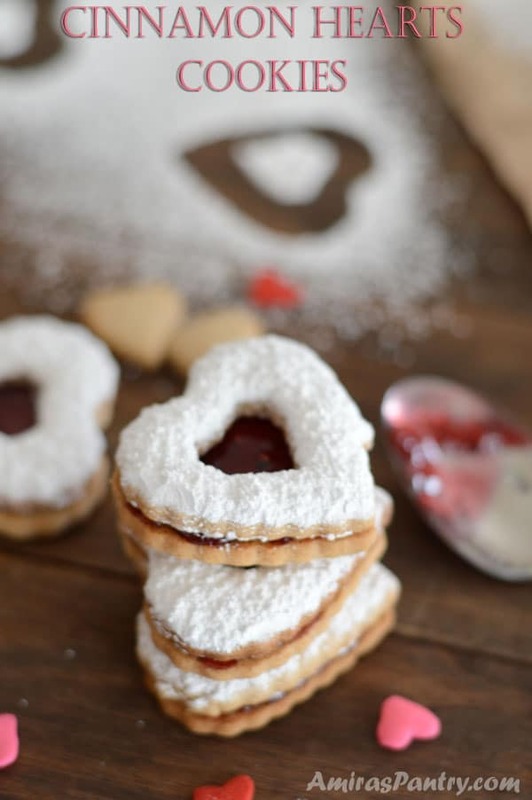 From there my fear of baking started to disappear and I got more confidence in the kitchen . 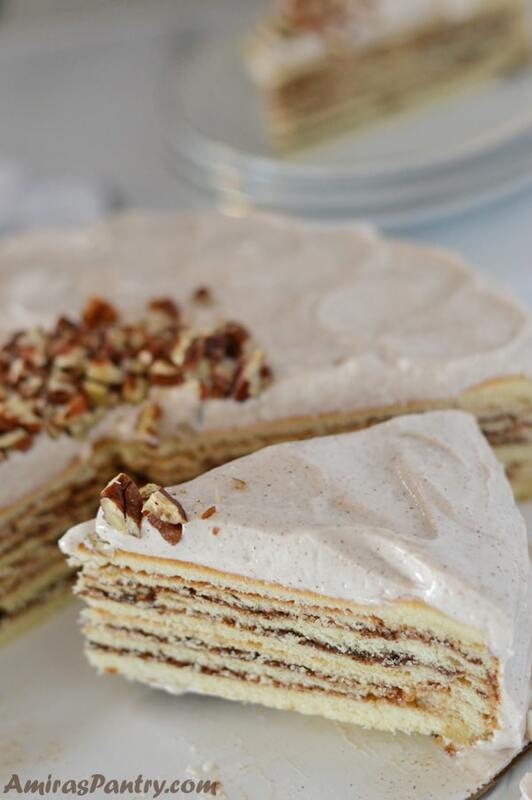 You’ll not believe that this whole cake is made in the blender. That’s why I say this cake is a fool proof and it comes so easily. Just add eggs, milk, vanilla extract and room temperature butter in your blender and blend well. Then add the sugar, sifted flour and a dash of salt and blend all together again. No watch out for over blending, under blending, creaming and all sorts of strange terms. Spray a 9 inch springform pan with cooking oil and line with parchment paper. Now pour somewhere between 1/3 and a 1/2 cup of the batter into the bottom, tilt the pan so the batter is spread evenly. Now broil on low, and now we’ll need your full attention so please just do not get distracted for the next 4-5 minutes or so depending on your oven. Watch it carefully until it browns nicely and time yourself to know how many minutes needed for each layer. Mine took exactly 5 minutes, I started checking it out after the first 3 minutes passed. Spread about a tablespoon of the cinnamon,cocoa and sugar mixture. 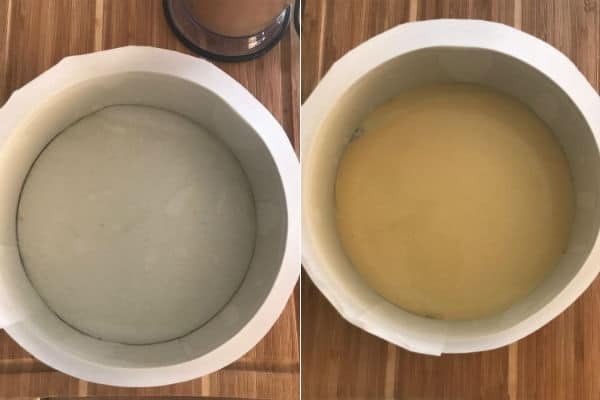 Add another layer of the batter, tilt to spread evenly then broil again for the time you’ve noticed from the first layer. Set a timer ( mobile. kitchen timer,…) so you’ll not forget about it. After it browns, take it out and spread another tablespoon of the cinnamon mixture. Keep going until the whole batter is finished. Mine made 6 layers. On the last layer, broil as usual then turn off the broiler and bake on 350F for only 10 minutes. Make whatever frosting you like, I’ve made it with cream cheese frosting and date caramel before and it was super good. This time though, I’ve made the frosting I’ve used in my healthier carrot cake and added a teaspoon of cinnamon to it. I’ve also served it plain with some fresh fruits on the side. Spread the frosting on top and sides and I just made a simple swoopy decoration with the back of a small spoon. 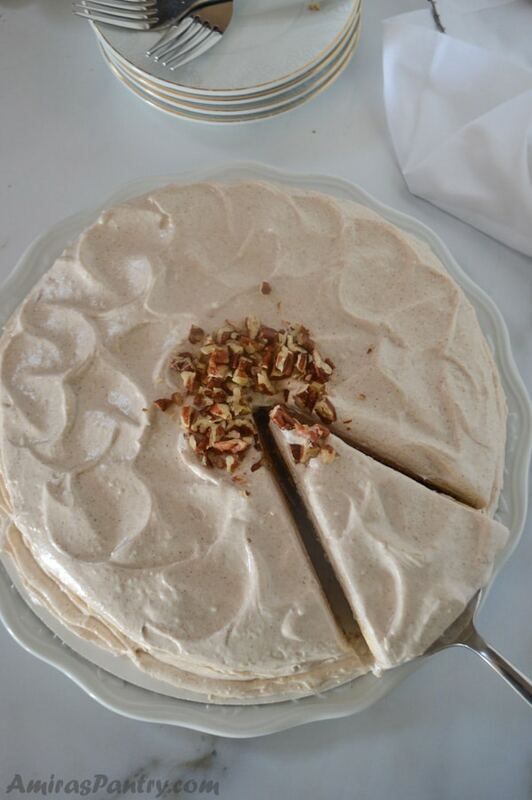 Add some chopped pecans is optional but it gives a nice final touch to the cake. Now cut yourself a small, or big, piece and enjoy. Layers of light cake with cinnamon, cocoa and sugar sprinkled in between. 2 cups A.P. flour sifted. 2 Tablespoon cocoa powder I used sweetened. 1 package 8oz cream cheese, room temperature. 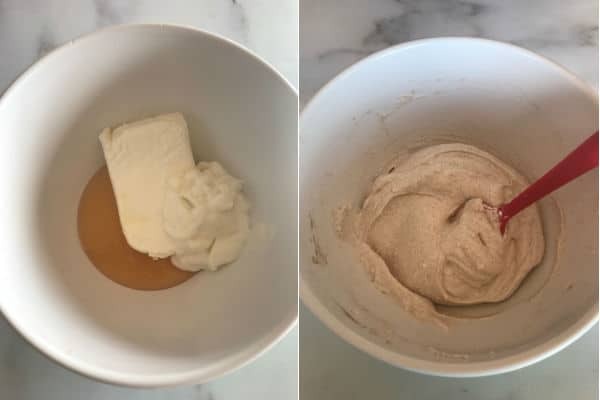 5 oz vanilla greek yogurt. 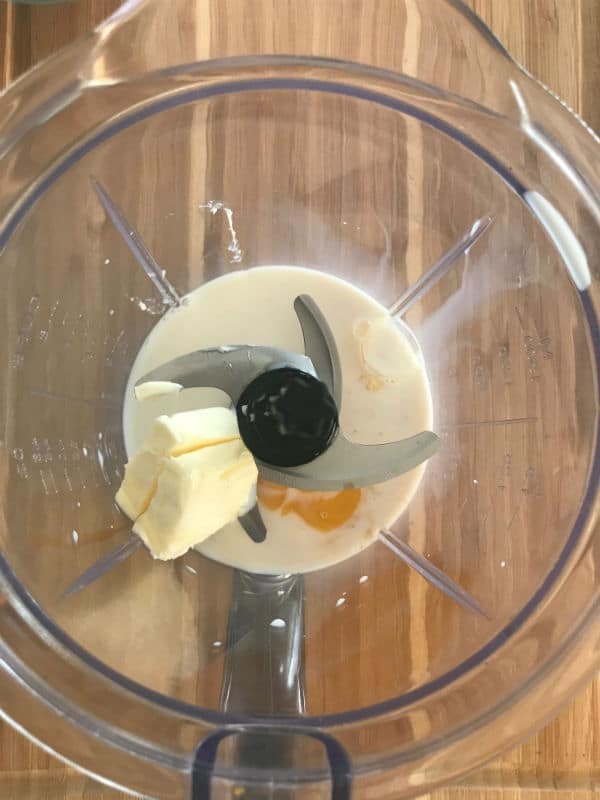 In your blender mix butter, eggs, vanilla extract and milk until well blended. Add flour, baking powder and salt to the blender and mix. In a separate bowl, combine the cinnamon, cocoa and brown sugar. Spray a 9 inch round springform pan with oil then line the bottom and side with parchment paper. Scoop about 1/3-1/2 cup of the batter into the bottom of the pan and tilt to spread the mixture. Broil the second layer and then take off the oven and spread another tablespoon of the cinnamon mixture. Keep going like this until the last layer which was the 6th for me. Broil the 6th layer then turn off the broiler and bake the whole cake for just 10 minutes on a 350F oven. 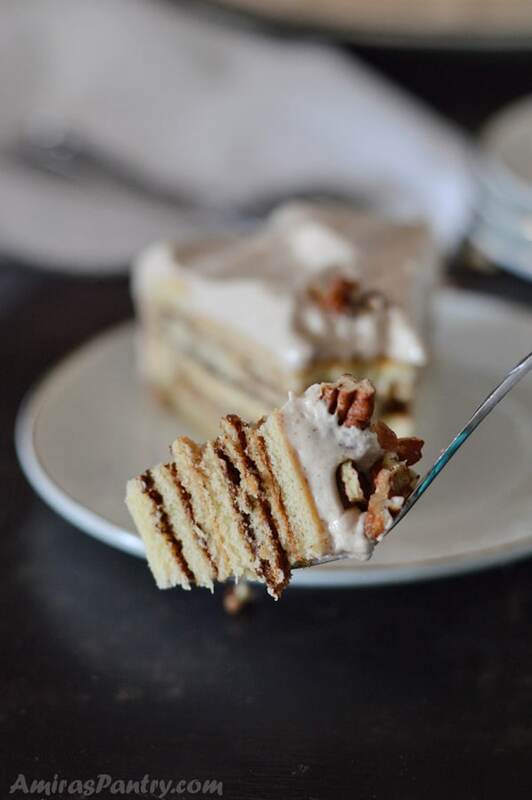 Take the cake out and let it cool to room temperature. In a bowl, beat yogurt, cream cheese, cinnamon and honey well. Take the cake out of the pan, peel the parchment paper and place on you decorating surface. 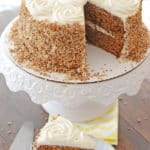 Cover the cake entirely with the whole amount of frosting and just make swoops on the top and sides. * You can use any frosting you like, think cream cheese frosting, caramel glaze, date caramel, whatever frosting you like. ** Of course broiling time depends on you oven so what I suggest is to keep a close eye on that first layer, and see how long will it take and time yourself around that for the following layers. 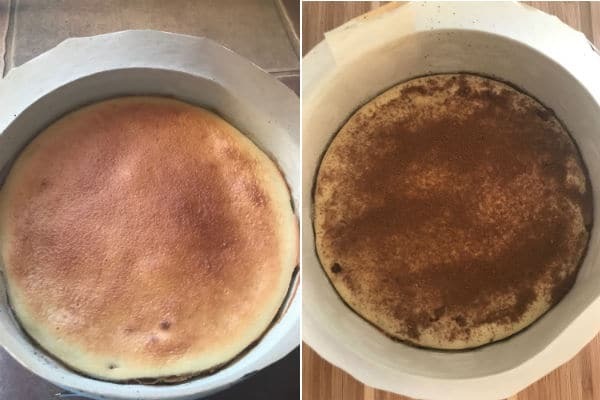 *** Sometimes when you tilt the pan to spread the mixture, some of the batter get mixed up with the cinnamon powder mix, do not worry about that, it will still tastes great. **** I’ve decorated mine with a simple swoop style with the back of a spoon. 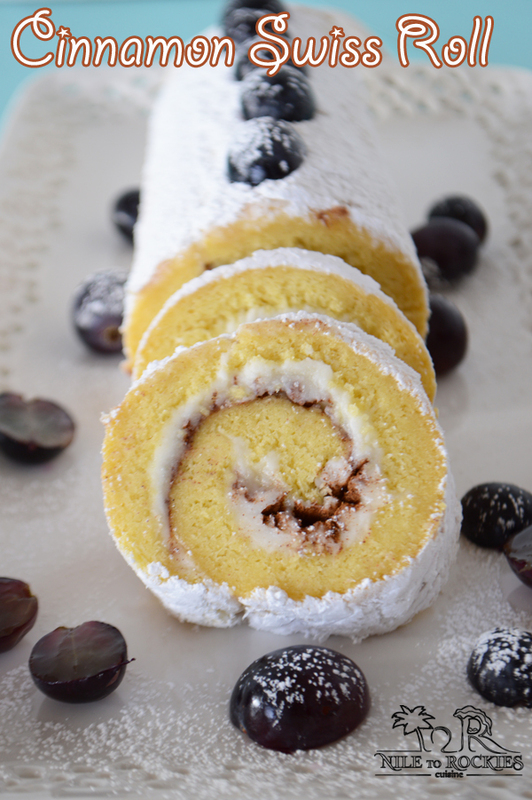 You can go all festive or you can simply serve it with no frosting at all just accompanied with some fresh fruits. What an absolutely beautiful cake and I’m sure it is delicious as it looks. You make me want to try Amira. 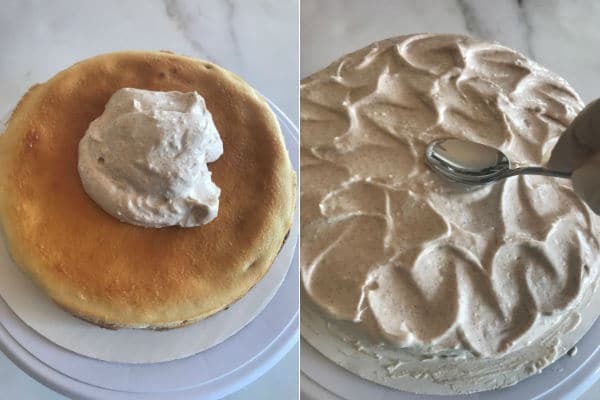 Not sure about the frosting on top as it never works for me. But the cake looks just delicious. Might try next week-end. Hope my little one will love Cinammon as much as I do. 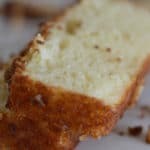 This cake is just as good without frosting, you can dust it with a little powder sugar as well or leave it plain and serve it with some nuts, fruits..etc. I hope he will love it. Thanks Marie. This is one of most favorite desserts, especially when served hot with condensed milk and nuts.